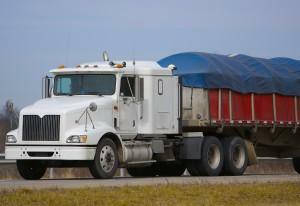 Heavy duty vehicles require special experience, equipment, and know-how for towing and roadside assistance. Because your vehicle is your business, the problem needs to be resolved—fast! 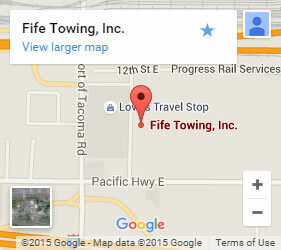 Fife Service & Towing has licensed technicians with detailed training and expertise in tractor towing in Tacoma and the surrounding areas. We arrive quickly and prepared. As soon as you call, our 24/7 dispatch notifies the closest tractor towing professional nearest your location. All the pertinent information will be relayed to that technician, so he or she can arrive with the specific towing or other equipment necessary to recover your semi truck. We aid with everything from flat tires, to running out of fuel, to load shift, and much more. Your cargo is our priority. We handle your recovery with extreme care for your vehicle and the load you are carrying. Count on us to get your tractor tailor back on the road and your delivery there on time! As a local company offering tractor towing in Tacoma since 1949, we have earned our reputation as the first number to call. We are nationally certified in towing operations. We help with everything from being stuck in a ditch or mud to underwater recoveries. Our skilled team is accustomed to problem-solving unique situations without incident. Our large fleet of towing vehicles means there is always someone nearby when you need us. We offer crane towing, tailor lifts, piggyback towing, and more. Call now if you need tractor towing in Tacoma and get someone on the way, right away!